In the abundance of more or less similar products, customer service has become by far the most influential brand differentiator these days. According to the recent study, almost 90% of buyers are ready to pay more for a better customer experience, which proves the importance of this aspect of the business. In such circumstances, companies are eager to find better methods to analyze customer service and this is exactly where data science steps in. By definition, big data represents large sets of information that may be analyzed computationally to reveal patterns, trends, and associations, especially relating to human behavior and interactions. 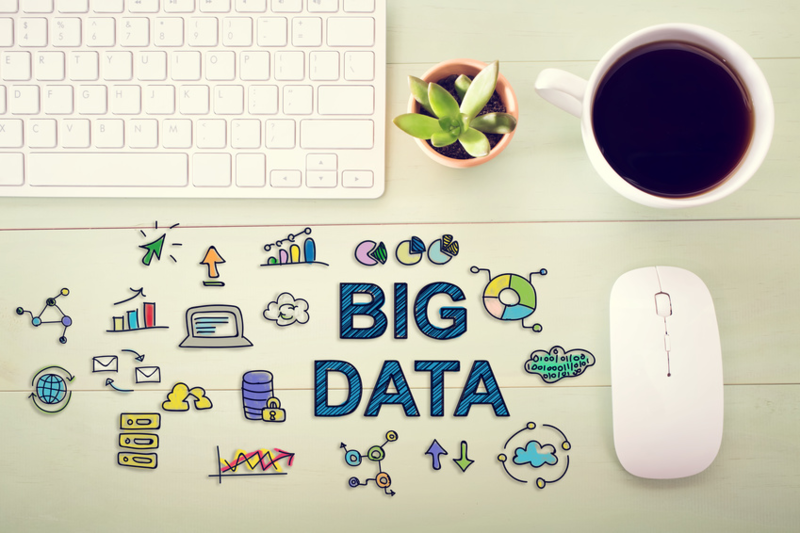 In this article, we will show you 5 ways how big data improves customer service. Being a relatively new method of information analysis, big data is yet to discover the best models to improve customer service. But even now it enables companies to research client behavior and use these conclusions to increase customer satisfaction. Here are 5 ways that show the best results at the moment. Big data allows you to get a deeper insight into the needs and preferences of each buyer individually. Using this system, you don’t have to implement a ‘one size fits all’ strategy but dedicate to every single client separately. Doing so, you have the opportunity to expand the base of loyal consumers, which is the biggest long-term business driver. A study even proved that the 5% increase in customer retention generates more than the 25% of an increase in profit. How is this possible? Big data analysis takes into account all actions conducted by your previous buyers and determines their personal preferences accordingly. For instance, if a customer called your agent a long time ago to ask whether you allow free trials or not, you can approach this client afterward and send him/her an offer to buy your product with the refund option. Such offer fits the customer’s personal preferences and you will likely win over the new purchaser. Contemporary customer service is impossible without the multi-channel support. Your buyers are not the same because some prefer traditional phone call support, while others want to talk to your agents through live chat, email, or social media accounts. You have to indulge them all but also keep every channel of communication equally efficient. In that regard, big data will help you to understand how your customer service functions across different channels. Even if the majority of your customers prefer social media engagement, you will have to keep other mediums on the same level to avoid high churn rates. You don’t want to build only one state-of-the-art customer service channel while losing points on others. Data analysis will tell you what to do here and point out the details you should improve. It could be agents’ knowledge, their efficiency, response rates, etc. Once you put these suggestions into practice, you can count on a well-aligned multi-channel customer service. Your customer service agents have to deal with all sorts of questions and inquiries on a daily basis. Some of these issues are routine and generic but there is always a small percentage of unusual demands coming from potential purchasers. The big data methodology is super-successful in detecting and analyzing all variations of user questions and the corresponding answers. It can determine the most precise explanations for all types of customer inquiries and compile it into a customer service guideline, which helps agents to increase their problem-solving efficiency. Timing is one of the essential elements of successful customer services. Nobody enjoys waiting, especially not the people who are supposed to bring your company the profit. According to the research, prompt feedback to the social media complaint can increase customer advocacy by as much as 25%. With data science on your side, it won’t be difficult for you to calculate response time of your agents across multiple channels. You get to determine both the weak and the strong spots in your customer service procedures and improve the ones that slow down the process. In case you are not able to solve the problem by yourself, you can always outsource an entire customer service or parts of it to the bigger provider. For instance, if you don’t have enough capacity to handle phone inquiries, you can focus more on other channels of communication and leave phone service to the professional agency. This way, you’ll make the buyers happier and your business more profitable. The power of good customer service resides in competent and reliable employees. They are always on the frontline and have the power to make or break your business. According to the survey, more than 90% of global buyers say that customer service is crucial in their choice of the brand. That’s why customer service agents need to play their roles perfectly 24/7. If you don’t want to take any chances, you should use big data to find agents who don’t fulfill the requirements. You should take into account their response time average, abandonment rate, hold time, and all other factors that might influence customer service productivity. Big data is a relatively new method of customer service analysis. It draws meaningful conclusions out of the huge pile of seamlessly unrelated information, enabling companies to increase consumer satisfaction and the retention rate. 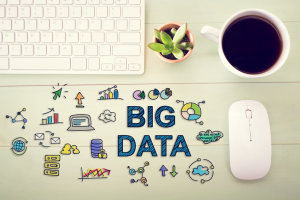 In this article, we revealed 5 ways big data improves customer service. Keep them in mind if you want to utilize data science in business and let us know in comments if you need additional information about this topic. Micheal Gilmore is an entrepreneur and passionate career advisor at resume writing service Resumes Planet. His mission is helping people achieve perfection in anything they do. Micheal gains. His life is fully dedicated to the people. You can catch Micheal on Twitter. This entry was posted in Articles and tagged big data, customer experience, customer service. Bookmark the permalink.